Corfu Town is the capital of the island. This beautiful city has graphical streets and historical buildings to explore. 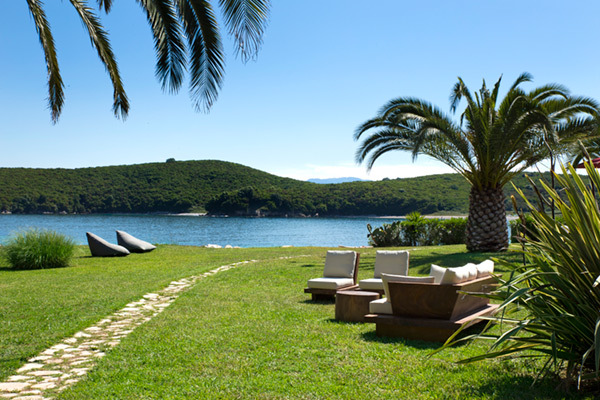 In Corfu Town, you can find offers similar to other Corfu hotels near the airport and harbour. The majority of the hotels have view on the wonderful Isle of Pontikonissi. The village of Gouvia is located in the north part of the island and offers a fabulous view across the Ionian Sea to mainland Greece. The peaceful waters at Dassia village attracts tourists for its beautiful shingle beach. Hotels of Kassiopi offers beautiful views of green hills, and an unparallel relaxation on the calm beaches of Kassiopi and Avlaki. Also you can admire the picturesque harbour in Kassiopi village. If you are a party animal, Acharavi is the appropriate place for you. This village is located on the north coast of the island which is famous for its nightlife and crazy parties. The neighbour Roda village is more peaceful and is known for its lovely and sandy beaches. Located to the west of the island, Aghios Ioannis village is the home of the Aqualand water park and its crazy water sports. Excellent choice for the family. For those who look for more a romantic experience, Sidari village with the Canal d`Amour beach is your place. Also beautiful is the curved lined bay with the rugged cliffs at Paleokastritsa, with a breathtaking view of the paradise beach. Messonghi river in the south part of the island is good for fishing and water sports. The next door Moraitika village has a long beautiful beach and a vivid nightlife. On the North, the fishing village Benitses provides good hotel offers and an impressive collection at the Shell Museum to see.